Supplication Of Morning – Dear Readers in this article we have collected and published all of the supplications for recite in the morning that are narrated from Muhammad(SAW). He said, ‘Say: “Allāhumma `ālimal-ghaibi wash-shahādati fāṭiras-samāwāti wal-arḍ, rabba kulli shai’in wa malīkahu, ash-hadu an lā ilāha illā anta, a`ūdhu bika min sharri nafsī wa min sharrish-shaiṭāni washirkihi”. He said: ‘Say it when you reach morning, and evening, and when you go to bed. 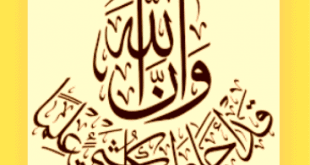 (O Allah, in Your Name I die and I live). Writer is a well-known Islamic scholar.He completed his education from the world famous Islamic Institute D.U. Nadwatul Ulama. He is a good writer and good speaker. He is working in these days as a Mufti in a famous and old Darul-ifta.